For the past few days, Shake Shack has been hiding a secret Game of Thrones menu at their Madison Square Park location. Starting on April 12th, that exclusive collab will be made available at locations nationwide. Unlike the hidden menu at the Madison Square Park location, you don't have to order in Valyrian if you don't want to. There is a pronunciation guide available, though, for those who want to channel their inner Game of Thrones geek. 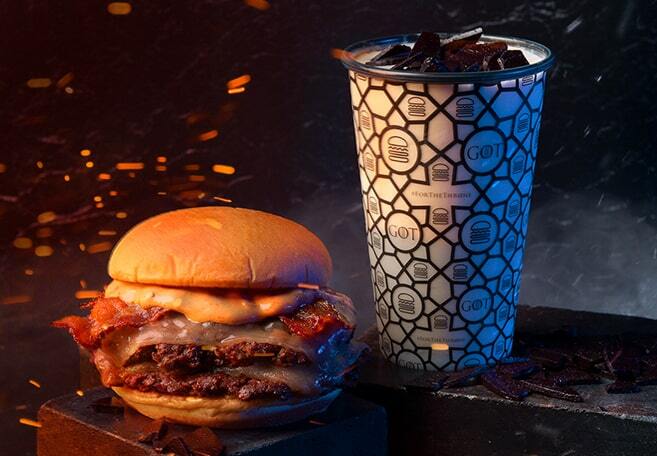 Both items on the collab menu, the fiery Dracarys Burger and minty Dragonglass Shake, will have different availabilities. The Dragonglass Shake, which is a mint chip shake with shiny black toffee shards on top, will be sold at locations nationwide except for those at airports, ballparks, stadiums, and transit centers. You'll be able to get it through May 19th. All of these locations will have the burger available through April 21st. Featured Image courtesy of Marcus and Matthew at @mnmtwinz on Instagram.